With colors so vibrant and warming we welcome the Fall season and our many outdoor family gatherings. 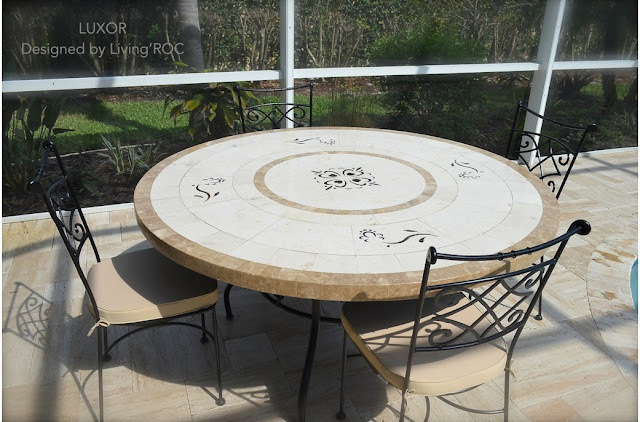 LivingRoc's outdoor stone patio tables can help you bring those outdoor entertaining moments some to remember while sitting around a beautiful hand crafted mosaic masterpiece. 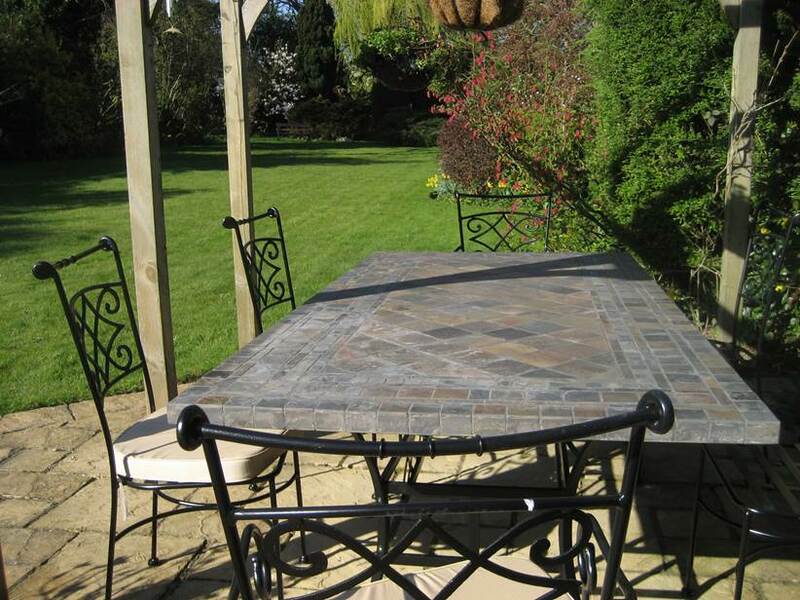 Our Florida patio table certainly is one of our most beautiful tables in our table range. Cut with patterns that reminds you of the sun you can delight your guest with this rare table. 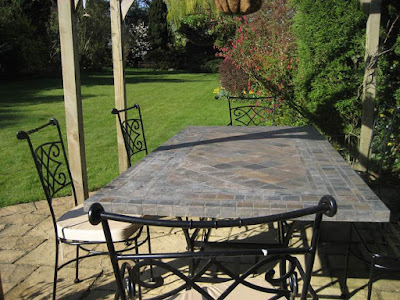 MAPLE outdoor slate patio table will warm your surroundings with its fall colors. Every piece is unique! Our slate is multicolored with plates of gray, silver, browns, yellow, ochre, and topaz. Make this season of entertaining one to remember. 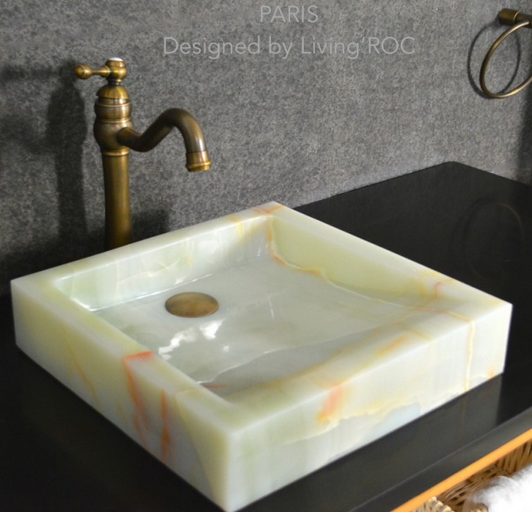 Let yourself be seduced by the sublime LUXOR with two noble materials that are Spanish marbles and Egyptian galala marble. 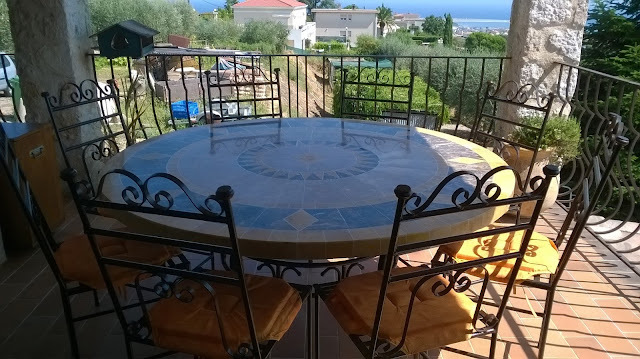 Its sturdy and neat structure will make this table a safe value that will fit perfectly with your interior or exterior environment. This outdoor range is handcrafted and is suitable for all the lovers of fine materials in search of an extraordinary finish. Warm up to a cozy fire with a 32'' Mosaic coffee table that can transform into a warming firepit. 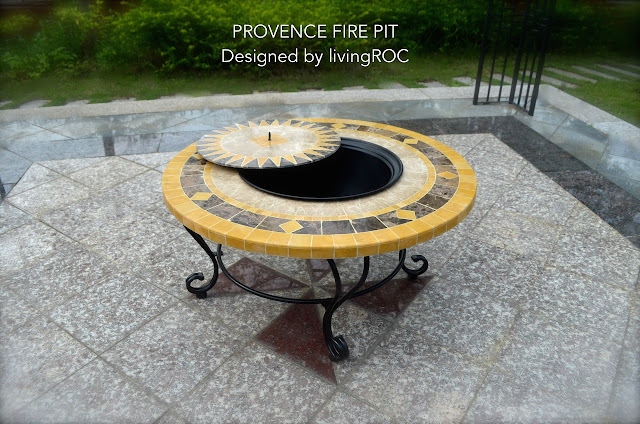 Our PROVENCE natural stone fire pit table will have a removable bowl. Refined lines and a streamlined design would be suitable for your gatherings. We would like to welcome you to come visit our outdoor patio range to view all of our handcrafted natural stone mosaic patio tables.